Hey audiophiles, listen up! (Not the first nor last time you'll see that joke, I'm sure) There have been some games in the past that have based at least part of their gameplay on sounds, but nothing quite like this. NEXT Studios has given us the gift of their upcoming title, Unheard, a game reminiscent of Clue or Cluedo, but based almost entirely in sound. How will that work? Well if you've ever wanted to be a fly on the wall, here's your chance. The layout of the game is a blueprint-style view of your investigation area and you will get little else visually. After all, this game is about listening. This is your chance to be a "fly on the wall" and to solve this case, you'll have to catch every word that you can. There will be multiple events as well as "different suspects and characters, all happening at the same time" so pay attention! This title will absolutely keep you on your toes, and fortunately you can replay the audio just in case you missed something. 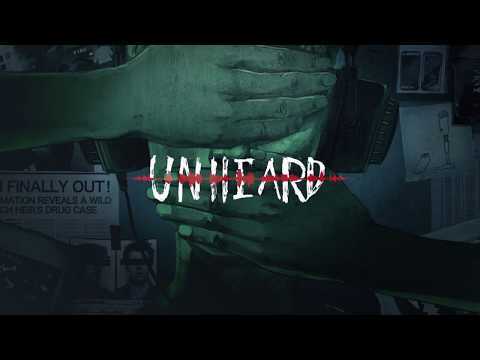 Unheard is slated for release 29th of March and will be available on Steam. Keep your eyes and your ears open for this one! If you like old detective radio shows, you'll love this game.